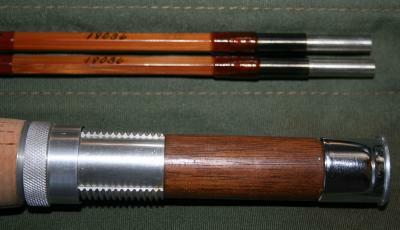 Vintage 8' 2pc Orvis Battenkill fly rod. Made 10/12/1955 according to Orvis Database. 2pc, 2 tip, 4 3/4 oz Impregnated rod is all full length and ready to fish. Comes with original bag and labeled Orvis tube.